Parlez-vous français? The importance of learning a foreign language. Comment allez vous mes lecteurs? Whatever you do, don’t take the decision to learn a new language lightly. To slightly mis-quote from one of my favourite novels set in France, the journey of learning a language is “the best of times, it (is) the worst of times, it (is) the age of wisdom, it (is) the age of foolishness…”. I was always considered the ‘language person’ in our family. I speak two languages fluently, though one more fluently than the other, and two rather poorly. To have an initial talent in something is not a recipe for success as I learnt rather quickly when I began a night class in French some years ago as an adult. 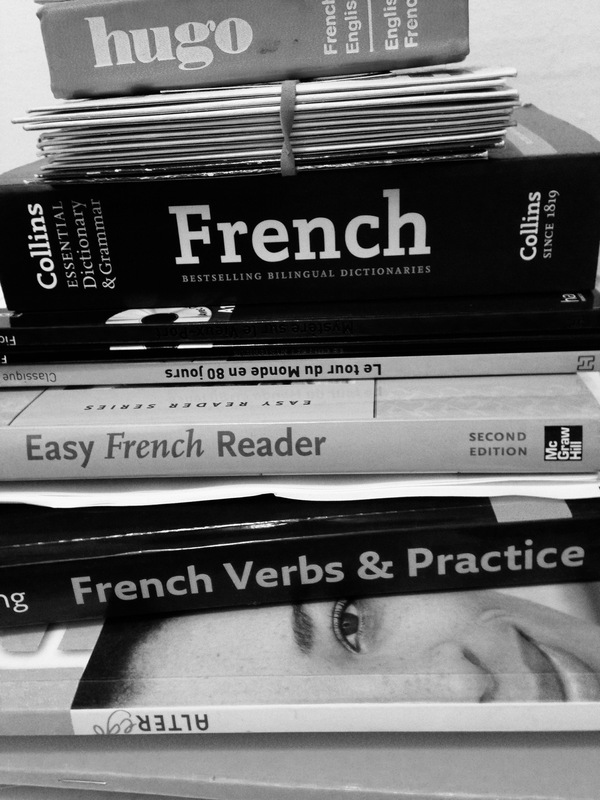 I began French lessons with optimism. The first lesson confirmed my suspicion that I would soon be a fluent speaker. After all, I already knew a heap of excellent vocabulary (see Flight of the Concords video below): la baguette, café au lait, croissant, bonjour, tête à tête, voulez vous… By lesson 5 I’d begun to doubt my abilities as a great linguist. French had all of a sudden become extremely difficult and rushing to do my homework half an hour before the class didn’t seem to be doing the trick. I’d made the fundamental errors of thinking that another language contained none of the complexities and nuances of my own language, that language learning would be easy, and that I could gain access to a people, culture and history with the sacrifice of just two hours a week. I’d not given French the respect it deserved. Needless to say, I abandoned my studies after that initial attempt because it was just too difficult. Luckily the story doesn’t end there. A few years later I married into a family of Francophiles. I found myself one evening at the dinner table with Hubby, in-laws and their French family friends – 8 of us around the table all speaking English (however poorly by the French), all because of one small person who couldn’t speak French. In that moment I saw so clearly that expecting the whole world to be able to speak English and making no attempt to learn a foreign language, especially in Europe, is a distinctly arrogant, western phenomenon. I’ve been back in French lessons now for just over a year. It is still difficult. I have good days where I am challenged and encouraged, and others days where I feel like I’ll never speak fluent French. But learning a language is not just about speaking beautifully. It’s about getting insight into a people and a culture. It’s about empathy. It’s about learning tolerance and it’s definitely about humility. It’s effect is unifying. It’s rewards are friendship, intimacy and shared experience. Perks are that a world of travel, food and adventure suddenly open up to you. In my world – a huge city of immigrants, multiple cuisines, languages, accents, dialects and people – situated within a couple of hours by train or plane from western and eastern Europe, it is our duty to learn another language. That’s ‘your world’ you might say. So, maybe if you live in South Africa you should be learning an indigenous language like Xhosa or Zulu? Or Spanish if you are living in Central America? French if you are in Canada? Or an Aboriginal language if you are in Australia? We need to get out of this mentality that English is the ‘be all and end all’ (a quote I recently realised comes from Macbeth! What hasn’t Shakespeare given us??). The key to learning a language, says Hubby, is the “drip, drip, drip” technique. Keep at it and don’t stop. Keep listening, keep learning, keep speaking. Spend more time learning vocabulary and rules outside of the classroom than you spend inside the classroom. If you can visit the country, do, immersion is key to learning. Don’t be afraid of making mistakes. Don’t give up. I love languages, but these days have so little time!!! I suspect that German might be what I start to learn, along with my daughter one day, considering that her bestie is german.